Performance Testing: The process of testing to determine the performance of a software product. Performance Testing is the process of identifying and eliminating application or system performance bottlenecks by exercising actual expected user patterns. There are a few different ways to do benchmarking and load testing on parts of your web application stack such as the web server, the database, the cache layer etc. Paul Irish looks into the loading performance of the Reddit mobile site. An amazing amount of tips that can be used for your next performance audit. 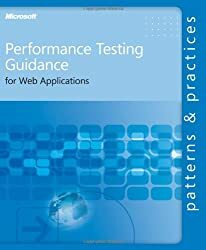 WebPageTest is one of my favourite web performance testing tools. It's completely free to use and is such a powerful way to test your web pages from different locations all over the world. Performance testing is a separate type of testing that allows to ensure that software applications will perform without problems under the expected workload. A lot of companies—even if they are aware that performance is key to their business—are often unsure of how, when, or where performance testing sits within their development lifecycle. To make things worse, they’re also usually unsure whose responsibility performance measuring and monitoring is.